Trust God's golden goodness overflowing abundantly in our lives. During coffee shop talks, it is so easy to compare and lament how affordable standard of living was, and easier to earn a living during the 80s and 90s... While these "Good Ol' Days" conversations may seem harmless, constant exposure might affect our mindset in the long run— causing us to be more skeptical, uneasy and fearful. Today, I woke up and saw the STI dropped. My waves of thoughts start to turn choppy. I felt the desire to pray and God reminded of me Psalm 23.6 — an uplifting, assuring promise that gives a mighty sense of tranquility. I felt much at ease after reading it and God prompted me to create the above poster to bless the folks online. 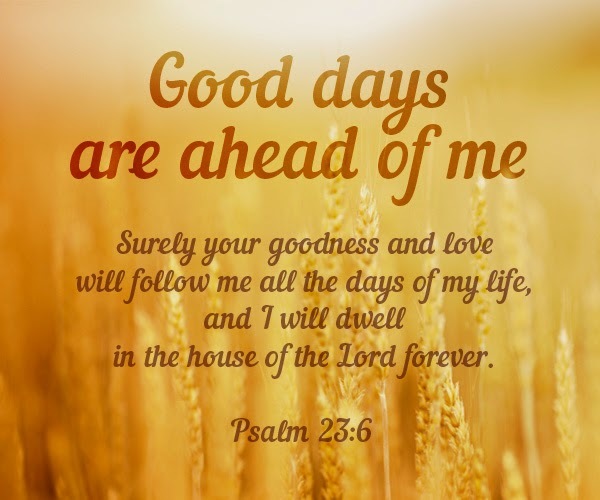 Now that I am better aware, whenever I hear bad news, I would chose to focus on this precious promise of His and envision His bountiful supply of grace to continue to overflow in all my days. Hope this verse blesses your days too. Parental Matchmaking (家长相亲会) is a session for family members to network with each other, and exchange details of their single adults family member. It is up to the singles to follow up and develop the relationship from there. When running the 4th Parental Matchmaking session today, I received a pleasant surprise! An elderly lady gave me a big mama hug. Aw... So sweet of her! Ultra encouraging to feel appreciated and loved. Another beautiful thing about this lady is – her daughter. She signed her parents up to attend today's Parental Matchmaking! Cool eh! Unlike some singles, this eligible bachelorette is very open to her parents joining this event. She is an established busy career women with limited singles in her social circle and industry. And she is more than grateful that her mother could network on her behalf! What a blessed, appreciative and confident lady! Having ran Parental Matchmaking for years, it is always very heartwarming to see parents enjoy strong ties with their adult children. These wonderful parents could relate so well with their children, that their adult children could entrust them to help enlarge their social circle and hopefully find marital bliss. During the first 3 sessions of the Parental Matchmaking, some of these singles even attended with their parents. 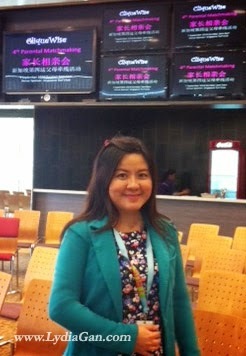 Before this elderly lady left, she has asked me to keep her updated of my singles events so that her daughter can join. Totally adore her loving, positive and proactive attitude!!! She is happy to be able to help her daughter meet more friends. I wish to meet more supportive folks like her. A lady friend revealed to me she met a guy in a networking event. After that he had been messaging her over the phone. She is alright that he kept talking about boring IT gadgets topics and responded well towards him until he claimed he knows her age. So creepy! It is a social boo-boo to ask about someone's age at the initial stage of knowing. For this guy in the above conversation, he talked so much to prove that he is knowledgeable and chatty. Instead of impressing the lady whom he wish to date, he end up irritating her! Needless to say, she turn him down. I must comment that she had been patient and polite towards him.